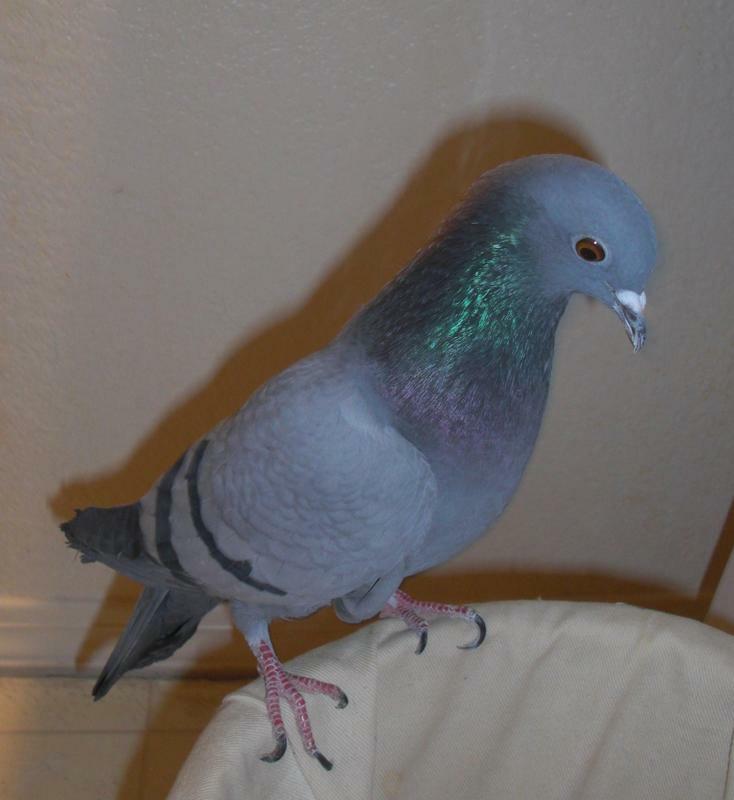 im adopting an unreleasable (male) pigeon for my female pigeon who just lost her mate to a racoon. my pij is blind in one eye so i cant let her out except for in my room so it would be nice for her to have a companion that is also handicap. i dont know i really miss him and its really hard... we keep finding parts of him... his wing was on the roof this morning.... muffins still seems to not know. and the racoon does have babies we dont know where they are though were still looking. where would they be during the day? They would be hiding under a deck, porch or even high up in the trees. Did the mom look like she was a nursing mother? This is so horrible, all around...I'm heart broken. I'm so sorry Anne. I wish I could make is better. i think it was nursing still i feel so bad i didnt want her to die.. ill look again but i dont know what exactly to look for. Anne...there are probably 2 babies. The mom has them hidden under a deck, crawl space...someplace dark. They may come out of hiding, after dark, if they are old enough to do so. I am so very sorry Anne. What an awful tragedy to happen. I can not imagine how terrible you must feel. Adopting another disabled pigeon for your bird is a good idea. However, I would introduce her to him very slowly. She will realize her mate is gone so it might take her some time to adjust to a new male. She is a tiny little girl and very sweet. Sometimes two females together make wonderful nestmats. Take your time making any decision and let me know. would getting her a female friend help as much/ more with keeping her happy than with a male? males can be kinda pushy and agressive.. muffins is very sweet but will peck at anything that come up on her blind spot. do you have a picture of her? also i talked to my mom about it and she thought it would be a very good idea to get a girl so the cooing wont be as loud in the morning since they'll be in the house. I think getting her a female companion would be perfect. I'll take a picture of her, email it to Charis and hopefully she will post it for me. To my knowledge, two little females together do wonderfully. I am very sorry to hear about Muffin's mate, Ann. I hope you are able to adopt a friend for her. Such a pretty little hen. so do we know what where gunna do? Hi Anne, I haven't had a chance to get Charis' advice on how we should proceed, but I promise you Una is yours. I know yesterday was a terrible day for you. I hope you are feeling better today. my parents are all cool with Una coming over and stuff so i guess we just need to discuss financial issues and what airport or area ill have to pick her up from (and when we want to do all this) thanks again! her nails are pretty long, i usually trim a little off of my pigeons if they ever get too long is that not right? Anne...........I do not trim any of my birds nails. I tried it once........I caused a bleed........It scared me to death.........I never attempted it again. I really have to get together with Charis and make arrangements to get Una to you. How is your other bird doing without Oreo?